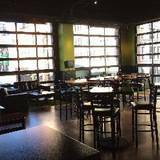 Planning a private or semi-private event in Denver? Make your special occasion one to remember by hosting it at Lime an American Cantina at the Denver Pavilions. Whether your party is casual or extravagant, Lime offers ﬂexible menu options that are perfect for all of your special event needs.<br><br>Located on the 3rd floor and overlooking the 16th St. Mall, Lime is one block from the Colorado Convention Center, and minutes from all major downtown hotels via the free shuttle. Lime was made to accommodate all sizes of parties and events for lunch, happy hour, dinner, and late night.<br><br>Locally owned, Lime is the ﬁrst choice for social and corporate events. Please fill in your information below and Teresa will contact you as soon as possible to book your event. If you’d prefer to talk now, please call us at (720) 460-6699.